Has your house or your life gotten a bit cluttered over the summer? Do you feel the urge to clean up and clear out these days? If so, you’re right on schedule with current astrology. 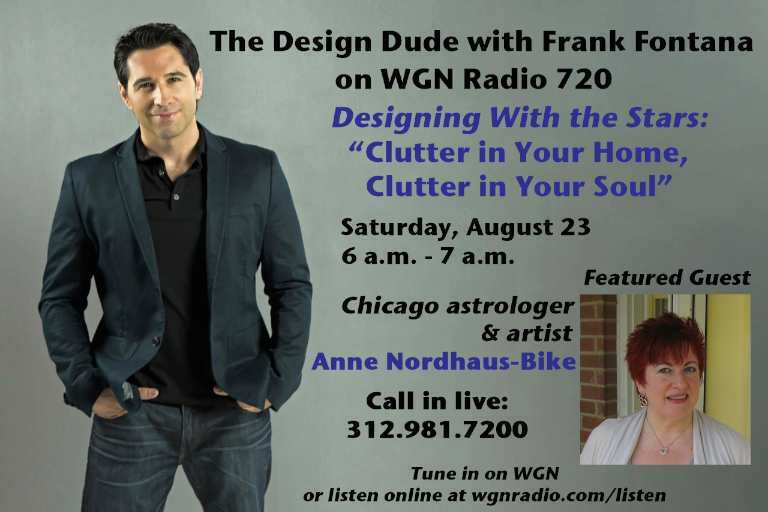 Find out why and what you can do to clean up your life and your home with the podcast from WGN Radio’s “Design Dude” show from Saturday, August 23. During the show, host Frank Fontana welcomed Anne to talk about current astrology and how to use Virgo energy to improve your life and straighten up your home. WGN recorded the show and has posted it as a podcast on both the WGN Radio website and on iTunes.